An award-winning biting satire set in the world of contemporary politics in Washington DC, written and directed by Scottish comic genius Armando Iannucci, and based loosely on his popular BBCTV comedy series The Thick of It. Starring Tom Hollander (Pirates of the Caribbean: At World’s End, The Soloist) as the hapless Simon Foster, the British Secretary of State for International Development who somehow manages to blunder his way into the centre of a major US/UK Government war mongering controversy. 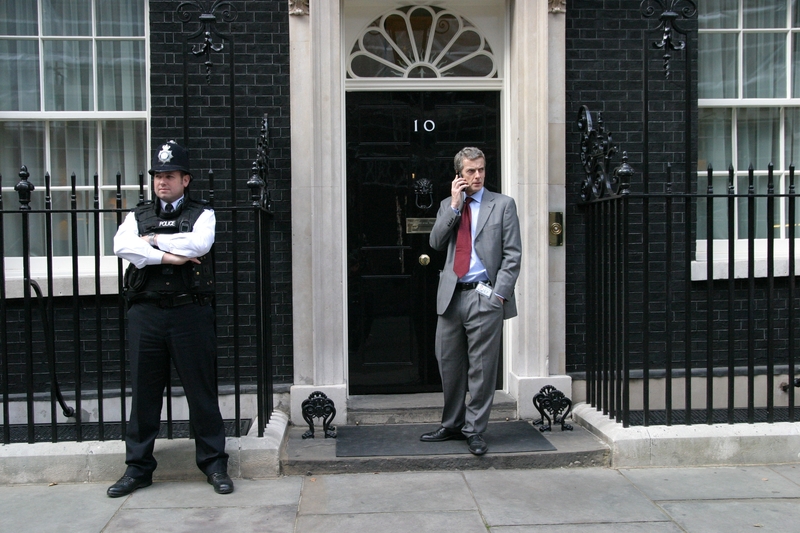 Peter Capaldi (Local Hero, Torchwood) plays the brilliant foulmouthed PR spin-doctor Malcolm Tucker who is determined to get his own way at any price even if it means fixing the vote of the UN to get it! In The Loop’s particular brand of political comedy is unique in it’s brash, withering irreverence of western government and civil service. It’s endearing, ludicrous humour offers an enjoyable ride to those who are content to simply sit back and laugh at the machinations of half-witted politicians and over-zealous press officers. It is a type of humour that forms the mainstay of Armando Iannucci’s manifesto for comedy and ensures that few people in the political eye are safe from the comedic genius’ satiric gaze. Where has it all come from? Based on the characters formed in an award-winning BBC series ‘The Thick Of It’, ‘In The Loop’ builds a farcical, yet unnervingly believable situation around British and U.S. foreign policy makers – choosing to pick on a scenario of burgeoning enthusiasm for war in the Middle East. Whipping up a frenzy around an increasingly befuddled British minister, the media – another area that rarely escapes Iannucci’s eye – is ever ready to snap up any slips made by the British. Creating these caricatures of life in power is a hallmark of Iannucci, but it builds very smoothly on British comedy’s legacy of portraying political figures as farcical, out-of-control and dim-witted people in power. Much of ‘In The Loop’ will ring bells with those familiar with that greatly revered British comedy series. Armando Iannucci has been behind the scenes for many years, and has only recently come to the fore in more prominent roles. Very much the anchor of modern British satire, he brought together Chris Morris, Steve Coogan, Stewart Lee, Richard Herring and Peter Baynham which resulted in ground-breaking series’ such as ‘The Day Today’, ‘Fist Of Fun’, ‘Brass Eye’ and most famously, the character of ‘Alan Partridge’. The British sense of humour lends itself well to the ridicule of those aspects of life which frustrate and annoy the public. British temperament demands little in the way of action, but much in mockery. Politics and bureaucracy are facets of life in the UK that Iannucci understands and is always ready to satirize. “Armando is a brilliant satirist, that’s what he is, and he definitely understands this world of politics and is obsessed by it,” says Tom Hollander, who shares a similar passion for politics. In The Loop will be showing as part of the From Blighty with Love season across Delhi, Mumbai and Bangalore on the 13th and the 16th of March, with a live chat with Armando Iannucci after the show on the 16th.